On a daily basis we all make assumptions. Some are conscious however many of them are unconscious. Those that are unconscious have become habitual ways of thinking. 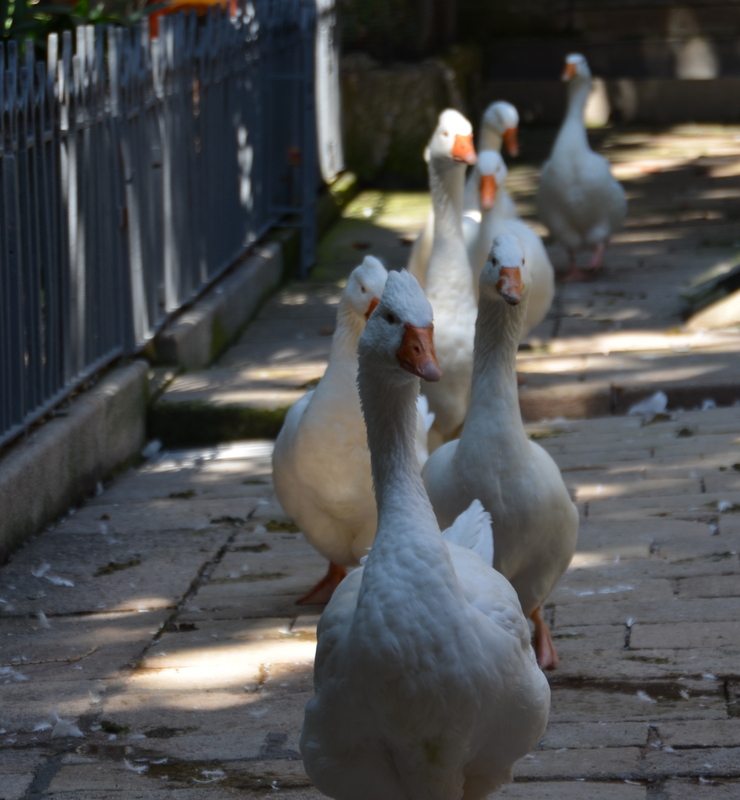 They provide a short cut in our thinking. For example, I assume that health professionals care about my health when I go to see them. I don’t need to think this through, although with any new practitioner I may be wary and check out my assumptions in advance by seeking feedback from others. On the other hand if I am walking down a city street at night and I hear footsteps coming up behind me I assume that I could be in danger and start to react. What happens when we make assumptions? We often receive self-confirming feedback. Perhaps not always in the case of the danger at night, thank goodness. However, if we assume that someone is going to act towards us in a positive way then we show this in our attitude towards them and it normally gets reciprocated. Equally if we assume someone will be hostile, our actions show this and this is also often reciprocated. 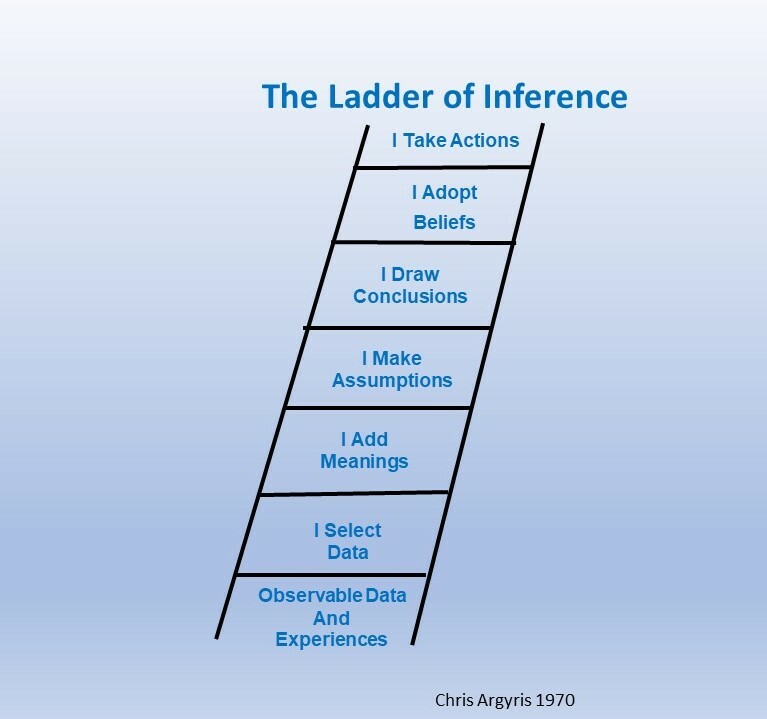 I have written previously about assumptions and referred to a framework called a Ladder of Inference first proposed by Chris Argyris. As a result turn into ‘facts’. In organisations this is how group think and mind sets develop. Sometimes it needs a new person to come in and challenge these assumptions in order to break out of set ways of thinking. The first way in which you can challenge assumptions is to work backwards down the ladder of Inference. Check out how your beliefs and assumptions were formed. Did you ignore any other relevant data? In Creative Problem Solving (CPS), it is crucial that assumptions are challenged in order to address the core problem and find effective solutions. An exercise I have found very useful in working to challenge assumptions in any particular situation is one developed by Peter Senge, based upon the ladder of inference, called The Left Hand Column. Take a piece of paper and draw two columns. On the right hand side you state the facts, or what was said in a situation. Against each of these points on the left hand side you write what you were thinking. As this shows the progression of thoughts and the development of assumptions in any situation, it can throw light on our perception of a situation. It can be very helpful in surfacing assumptions in any situation and can lead to an analysis of why challenging situations have arisen. Ensure that there is diversity in any team and to invite in people from different backgrounds. In CPS terms this is known as ‘fresh eye’, as people from different backgrounds will most likely have different perceptions to any problem. Do you have any examples of ways in which assumptions are challenged? Barbara is an executive coach, leadership and creativity facilitator. She has coached women and men in a variety of corporate settings, and has developed a unique approach to using creative techniques in her coaching and workshops to enable change at a group or individual level. 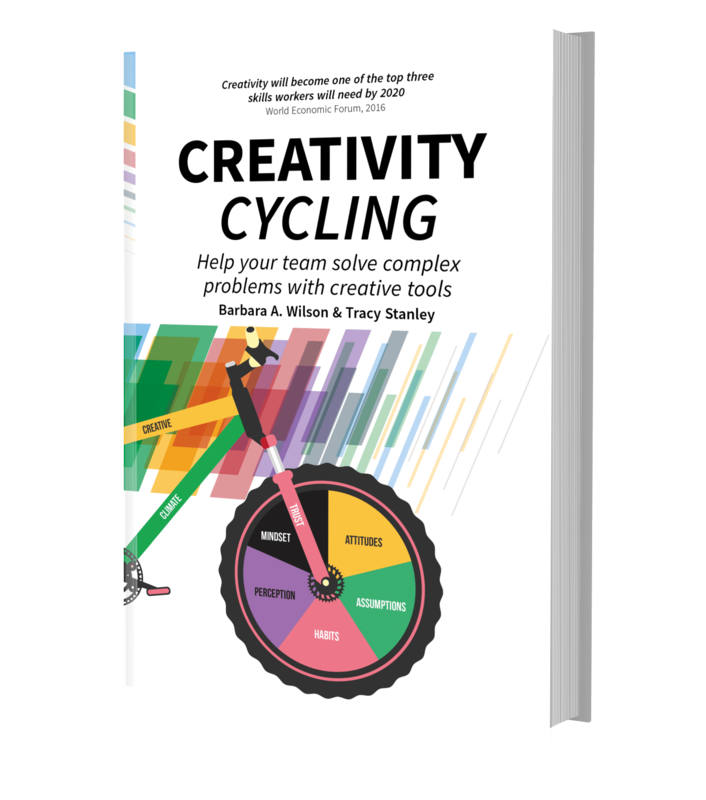 She has recently co-authored a book on creativity for leaders, called Creativity Cycling , with Dr. Tracy Stanley. which covers the process of CPS and techniques that can help challenge assumptions. Have you ever wondered why some people always respond in the same way in certain situations? In the workplace, when faced with change, one response often heard is ‘well we have already tried this, and it didn’t work’. These responses are signs of a mindset. The mindset in this example is that of a having a negative response to the world around us. Although an overworked cliche, it’s the way of seeing the world as a glass half empty rather than a glass half full. Mind sets are ways in which we habitually respond to our world and represent our prevailing attitudes. They develop from the way we perceive and how we interpret those perceptions. As they have become habits we often use them without thinking. They can become automatic. An article in the New York Times last year suggested that creativity is the new cure for mid-life crises. By taking up a creative activity, it stated that we often get in touch with a passion we may have forgotten about or not had the time to fully explore. In doing this, we can find a new meaning to life in a way which buying a new car could not achieve. It may be helpful firstly to define being creative. Passion can be defined as any powerful or compelling emotion. This can be either positive or negative and wars have been fought due to the level of negative emotion. So, what does passion mean in a work context? It has been reported recently that the famous 20% idea time through which Google encouraged employees to work on their own projects, is no longer in use. 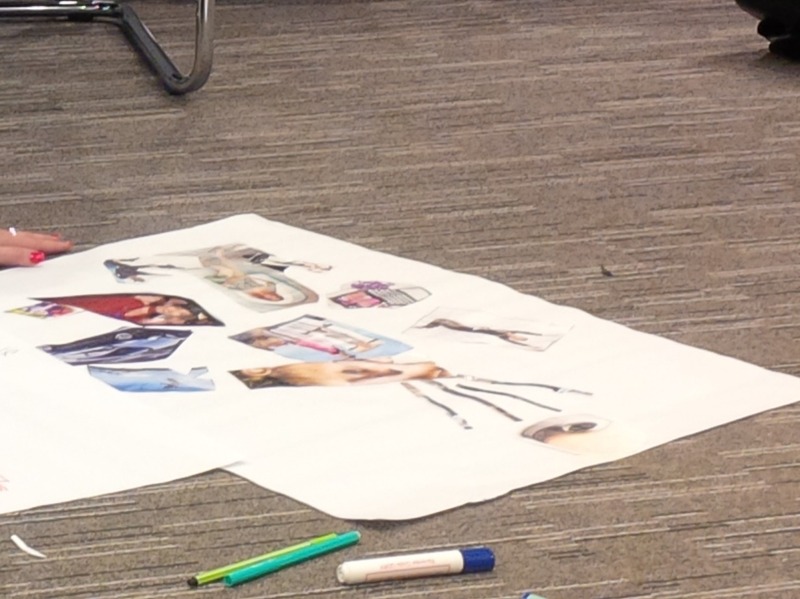 What to do after you have created a vision? I read and even write a lot about vision and the importance of it for establishing a direction. However it is not always clear what you need to do after creating your vision.